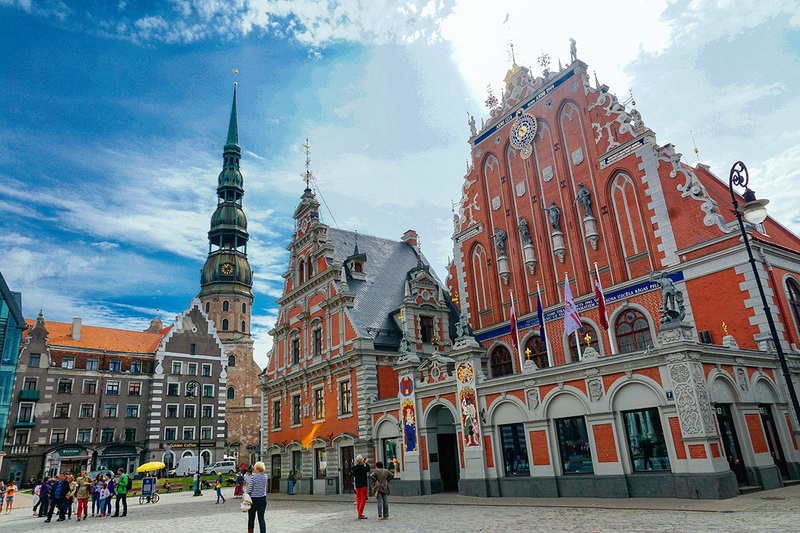 Riga is Latvia’s old capital and one enchanting city. 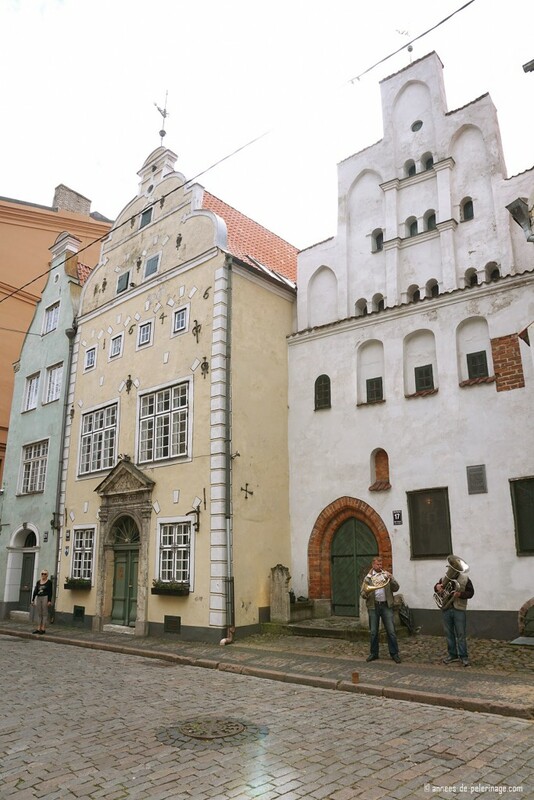 Acknowledged by the UNESCO as a World Heritage site, there are so many things to do in Riga. Riga. So many things can be said about Latvia’s capital: It’s young, it is full of culture and friendly people, it offers beautiful architecture, and a cosmopolitan flair, while still remaining cozy. In short, it is a city you should visit. 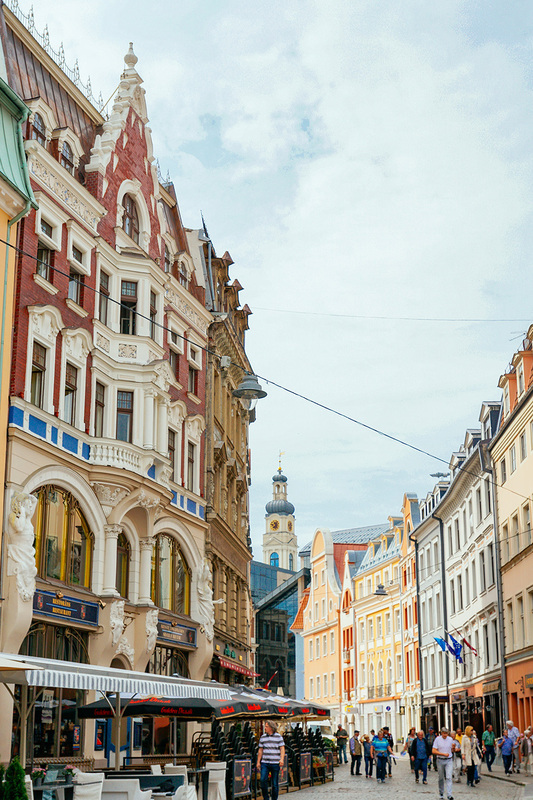 Here are 10 things you absolutely need to do when visiting Riga! 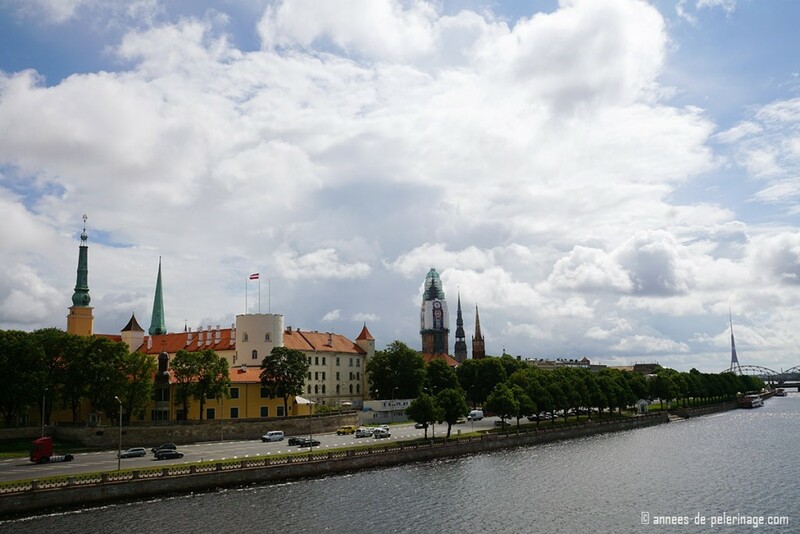 Do you love Riga? Check out my Guide to Oslo! Norway’s capital is just as charming and not that far away! 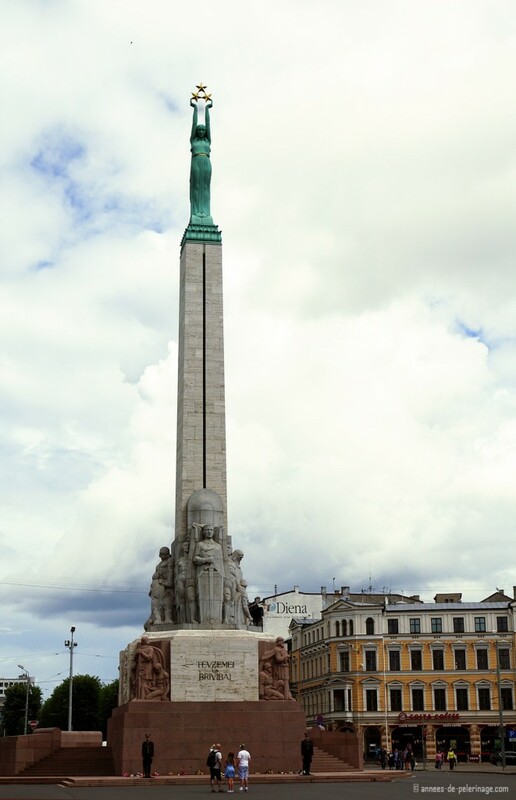 The UNESCO declared the historical center of Riga a World Heritage Site and so there is no way to discovering that. 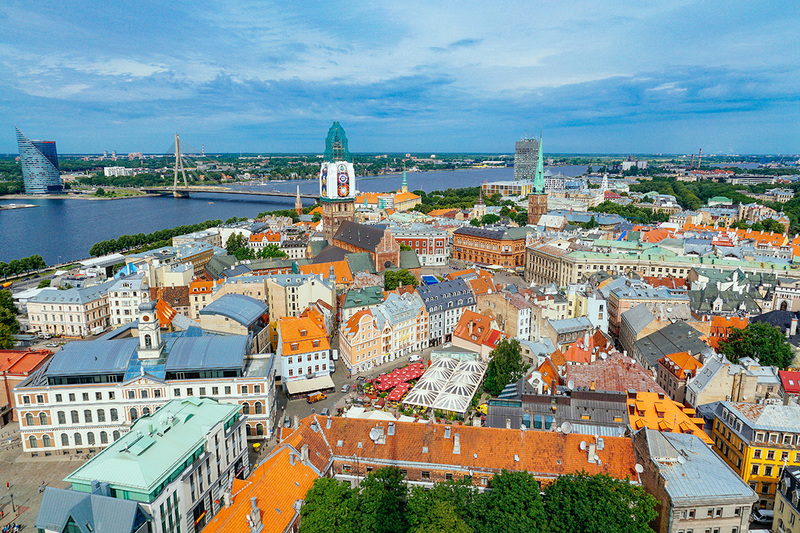 Actually, it should be your top reason to visit Riga. The narrow streets are more than enchanting. 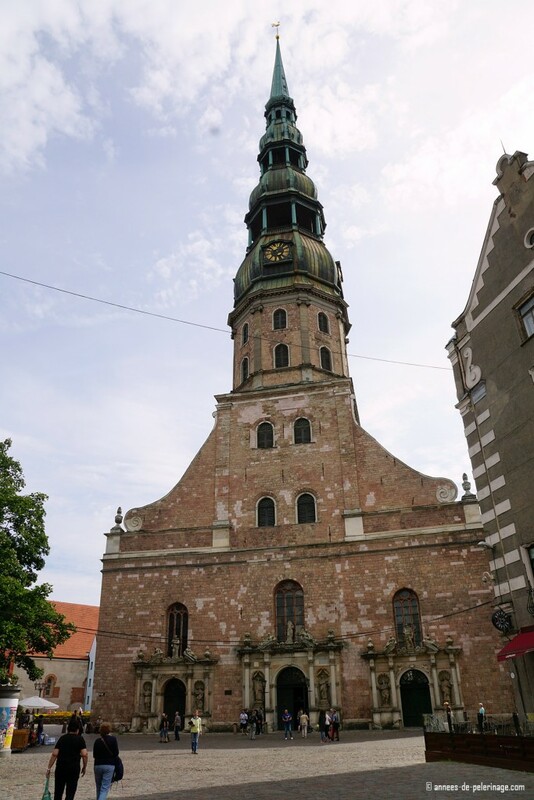 Riga has a lot of churches. In fact, it sometimes feels like almost the whole inner city consists of nothing else. Your biggest treat will be St. Peter’s Church, though. Why? Because an elevator will bring you to the top where you can enjoy a beautiful view over the city. Riga’s biggest protestant church dominates the central area of Riga. The insides are rather austere, though. Frequent fires and the upheavals during the Reformation wars destroyed its original opulence. What remains, however, is a magnificent organ. 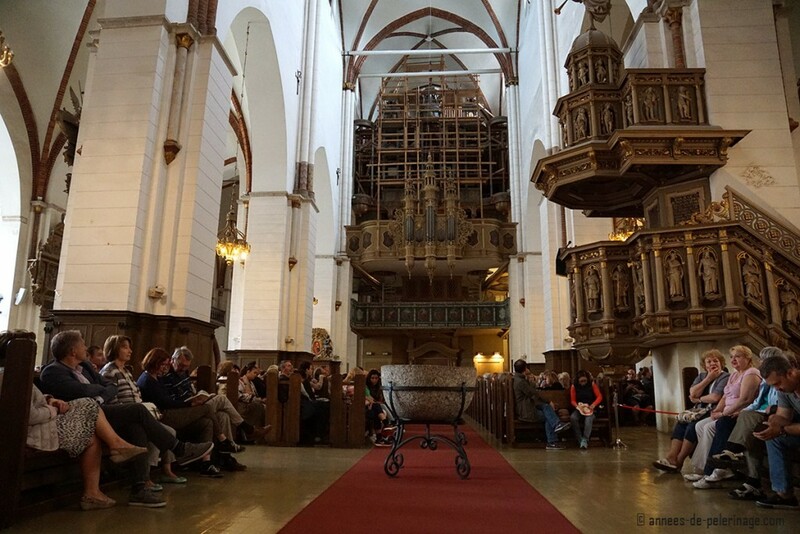 Every day at noon (12:00 am) there is a small organ concert you really should not miss! Such a spiritual experience. 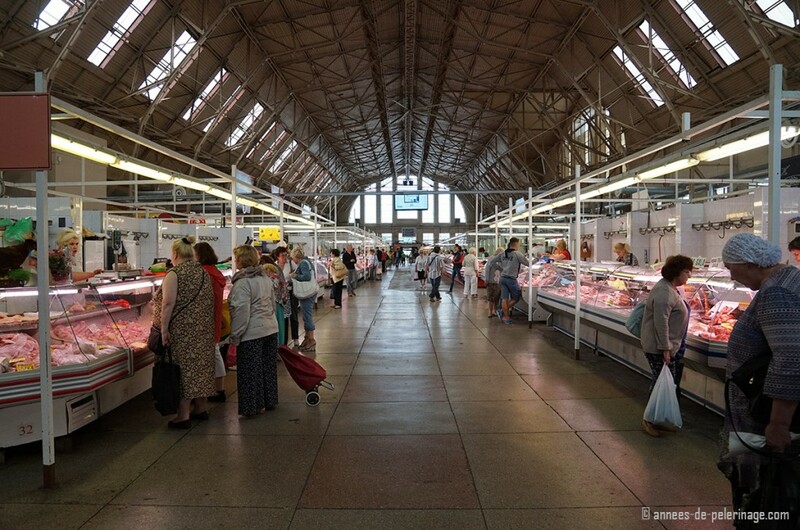 As a tourist in Riga, you really should not miss the Central Market. It is indeed located quite close to the center. The huge halls are only a couple of meters away on foot and offer you the whole variety of Latvian food. Clothes and basic household goods can be found there as well. Definitely, take your time and sample the fruits and foods! 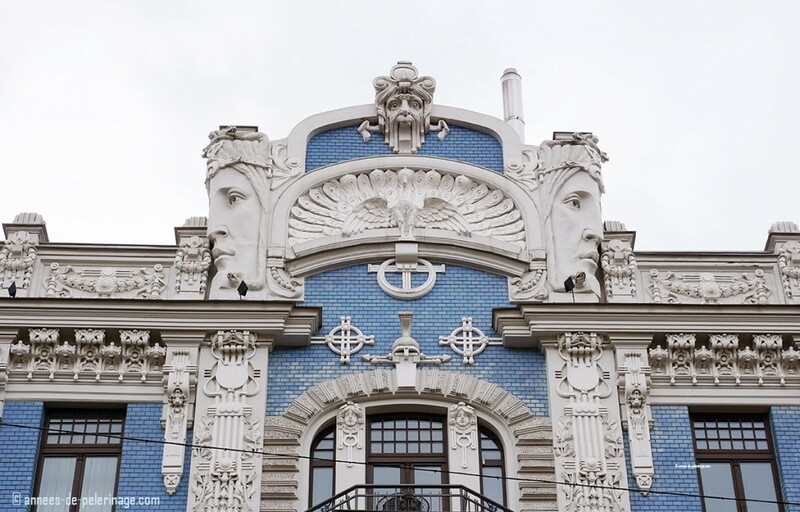 Riga is sometimes dubbed the world Art Nouveau center. And to be quite frank there are few cities around the world with more buildings from that time still standing. The streets Elizabetes, Dzirnavu and Antonijas will impress you with their huge variety of different styles from that area. Although I have to say that Munich has, even more, Art Nouveau architecture. I blogged some amazing images of my hometown here. The Latvian People love their performing arts. And so it is little wonder that they did not cut back on their Opera house. 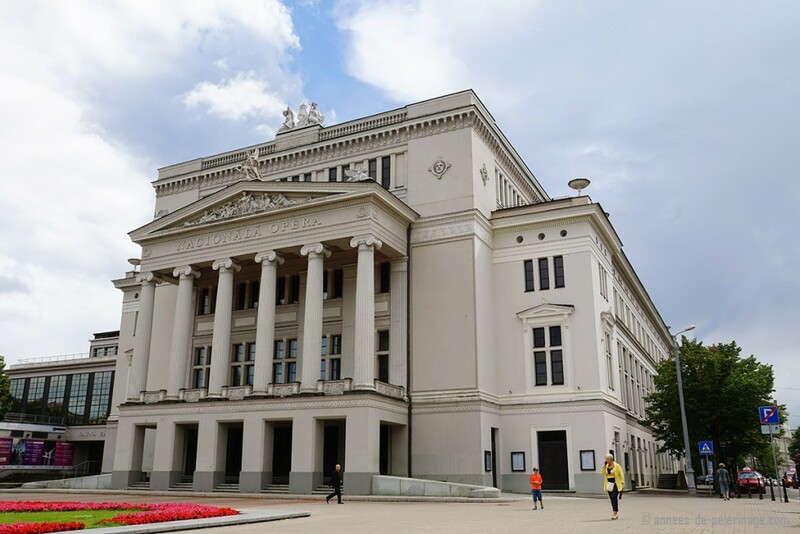 In fact, the building resembles the famous Bolshoi Theatre in Moscow. If you got the time you should consider getting tickets for a performance. The theatre is well known for its good acoustics. A bit quirky but just as famous. Hidden within in the cobblestoned crevices of the old town you will find a yellow house with two cats sitting on its spires. 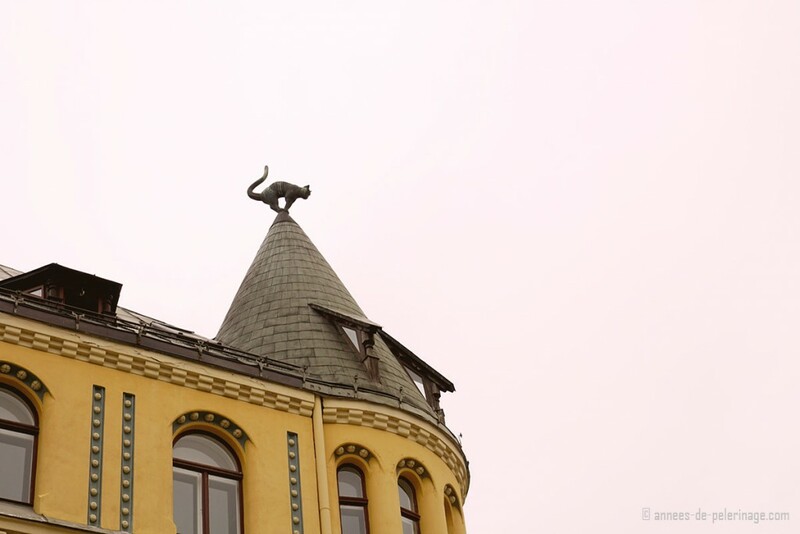 Know then that these two feline fellows are not the only architectural gem hidden in Riga. As of now Riga Castle only is an honorable mention in my list of things to do in Riga. In 2013 a terrible fire destroyed major parts of the castle. The restoration is far from complete and so Riga castle is still hidden behind construction works. Still, it is the official residence of the President of Latvia and houses a couple of museums. 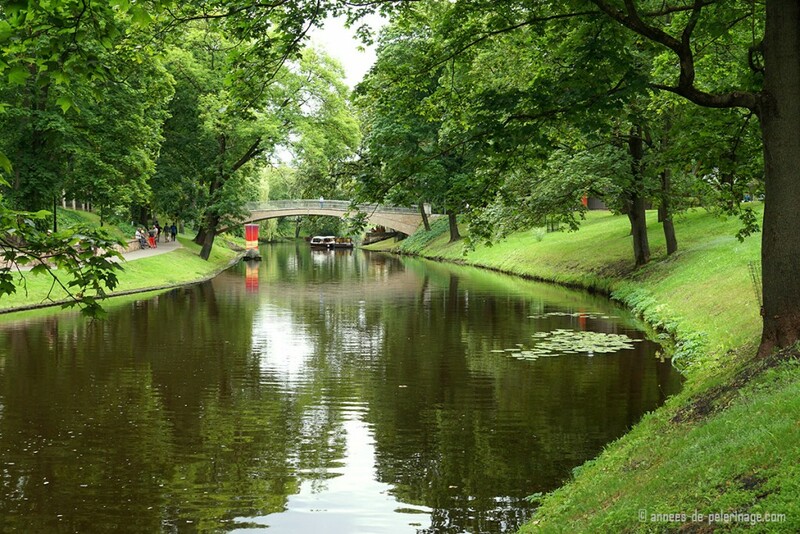 The old moat around Riga now forms a beautiful canal. Little boats offer rides out through the canal and the Daugava River. It may not be Venice, but it is still quite enchanting and a wonderful thing to do in Riga – especially with kids. 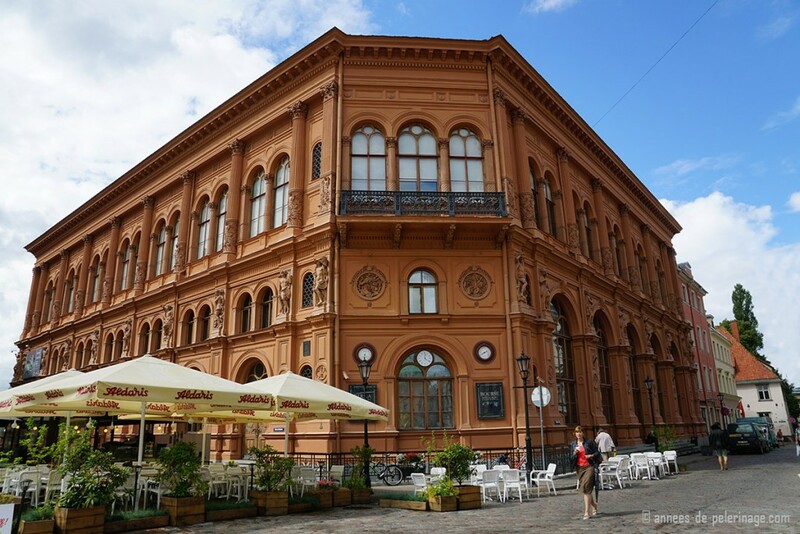 The Riga Bourse, now an art museum, is located on the central square of Riga and is as beautiful from outside as it is from within. Changing exhibitions invite you to visit again and again. Definitely, put this on your list of things to do in Riga. 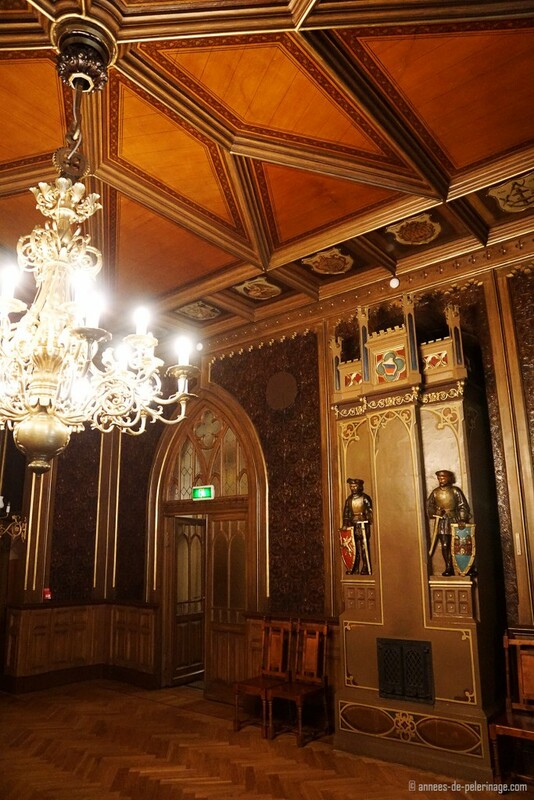 The Small Guild of Riga may have burned down during WWII but the restoration efforts have been extensive. For only 2 euros you get a chance to explore the opulent interiors. Have you ever seen the Lomonosov State University in Moscow? 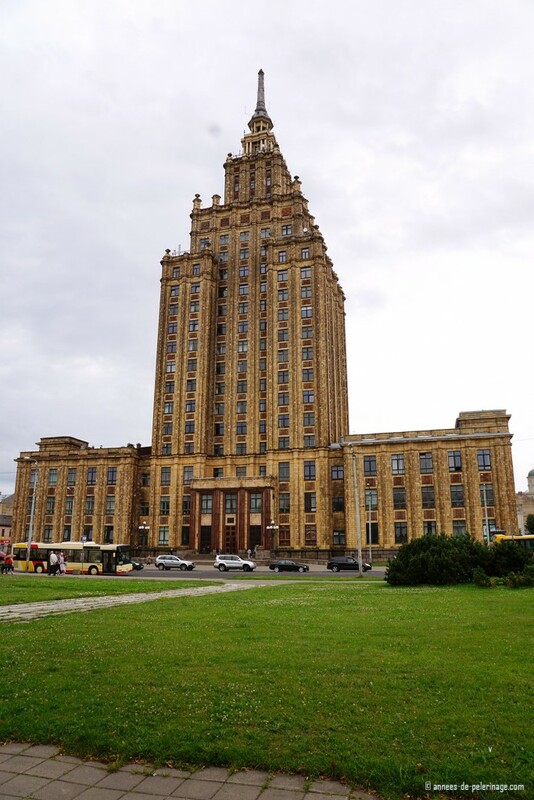 One of the hallmarks of Soviet architecture has a little brother in Riga: The Latvian Academy of Sciences. Built between 1951 and 1961 is a stark reminder of the Russian occupation. The 17th-floor balcony is open for visitors. 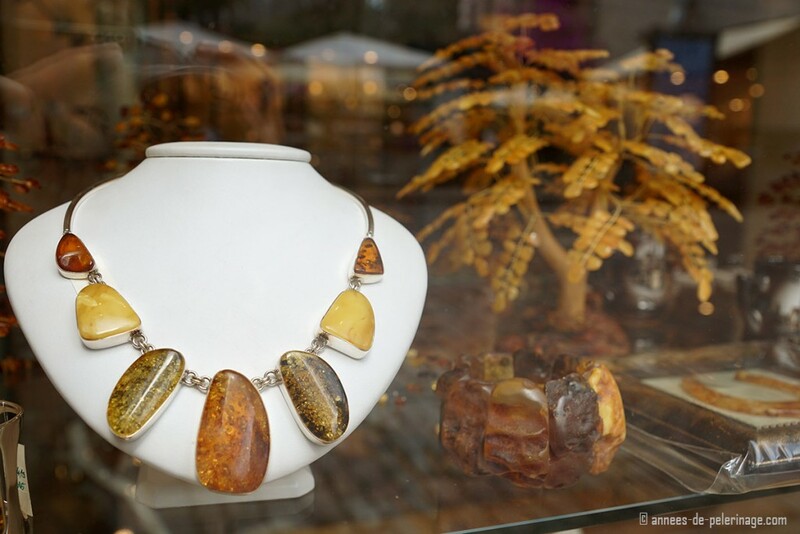 Riga is famous for its amber jewelry. What better souvenir could there be for the ladies? From cheap to prohibitively expensive you will find everything among the inner streets of Riga. And talking about famous. 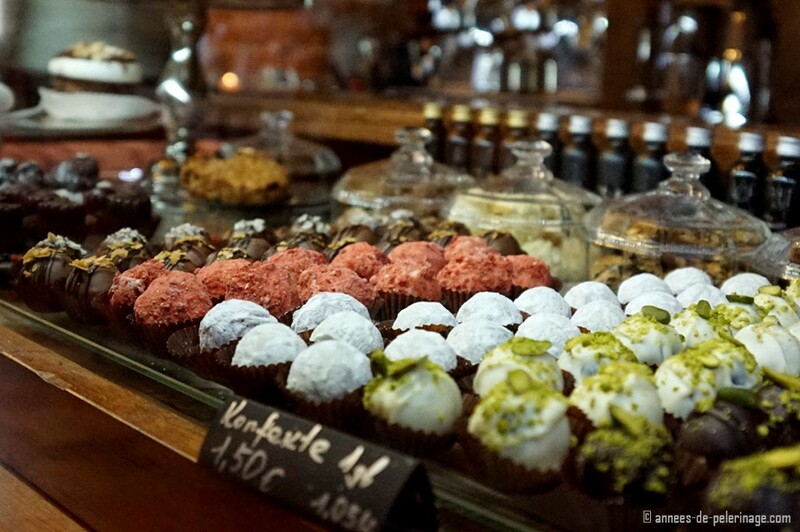 Equally well known are the chocolates and pastries of Riga. After a long stroll through the city, make sure to reward yourself with some sweet sins. Even if you are not an avid fan of bars, clubs, and discos, you should definitely save some time for walking around Riga at night. Most ancient buildings will be illuminated then, offering you a beautiful new perspective. Riga’s nightlife can be anything from luxury restaurants (like Bibliotheka) down to student bars and kantinas. Take your pick! So that’s been it. 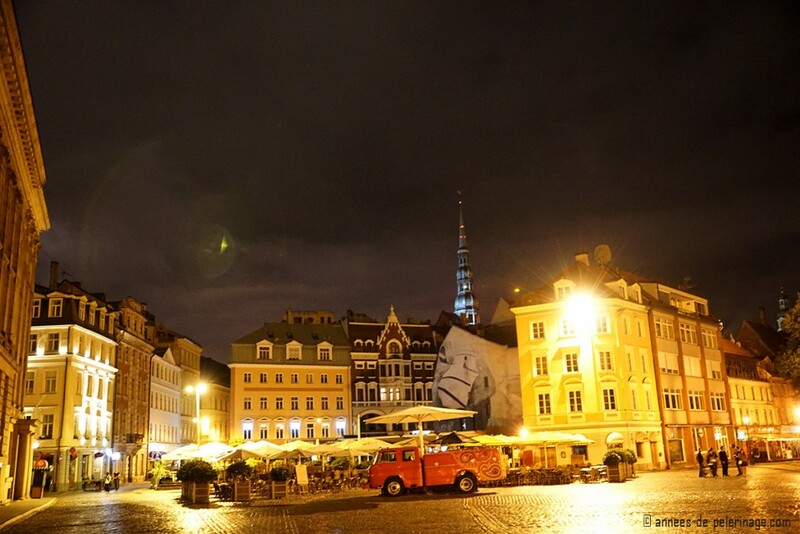 My 20 wonderful things to do in Riga. As I couldn’t possibly cover it all, I do urge you to do some further readings. 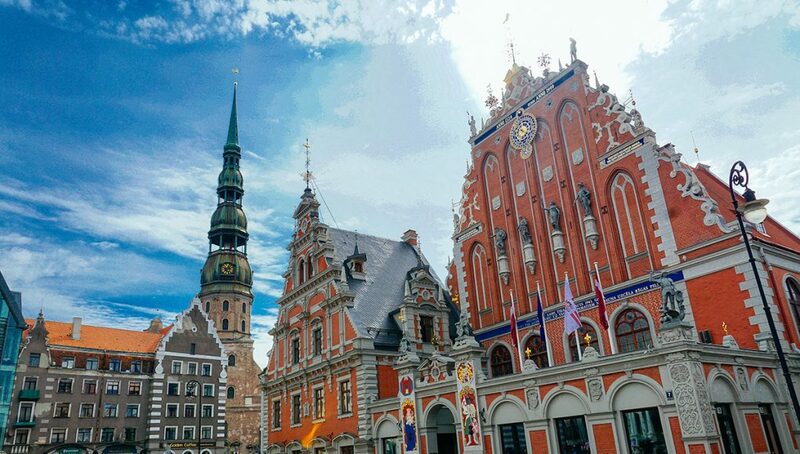 There are not too many travel guides out there for Latvia, but I can recommend the Lonely Planet Travel Guide Estonia, Latvia & Lithuania, especially as it also covers the neighboring countries. All of them worth a visit and easy to combine on a small eastern Europe itinerary. Did I miss something on my list of things to do in Riga? Tell me your favorite places in the comment section below! Very nice! Terrific photos. I’ve been to beautiful Tallinn, but Riga looks just as wonderful! thanks for the compliment. I’m still trying to get better with my photography, so this means a lot.